Virtually every community throughout Florida has a leash law. The intent of this law is to protect the health and safety of the public and to protect your pet. The use of a leash will benefit you, your neighborhood, and your pet. Article VI, Section 9 (Pets) of Fish Hawk Trails Rules and Regulations allow a maximum of four dogs, cats or other small household pets may be kept, provided that they are not kept, bred, or maintained for any commercial purposes. All pets must be kept on leashes or within secure fences when out of doors. If you have an invisible fence, signs that conform to Article VI, Section 11 must be posted stating as such, so passersby will be informed. 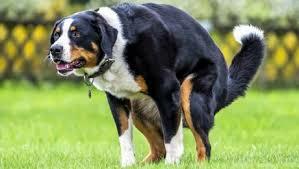 Pets must not constitute a nuisance or cause an unsanitary condition. All droppings must be picked up and disposed of accordingly. Pets will be deemed to constitute a nuisance if they create excessive or disturbing noises, whether by barking or otherwise, or if the pet has shown any violent or aggressive behavior or otherwise poses a danger to the health, safety, or welfare of any person or other animal. Dog owners residing in Hillsborough County, Florida are required by law to keep their dog from going stray, or running or going at large upon any street, sidewalk, park or private property of another without that property owner’s consent. Owners are defined as any person, owning, harboring, possessing or otherwise keeping or exercising direct control of a dog. Or, if the owner of the dog is an individual under the age of 18-years-old, the individual’s parents or guardian will be deemed as the dog’s owner. Dogs found at large can lawfully be captured and humanely confined. “At large” means a dog off its owner’s property and not under the restraint or the direct control of the owner or other responsible person. Failure to tether your dog can result in a minimum fine of $300 and a mandatory court appearance for any subsequent occurrence. The dog must be under the direct control of its owner or keeper. “Direct Control” is defined under section 4-27of the Hillsborough County, Florida, Code of Ordinances as the immediate, continuous physical control of a dog at all times by means of a fence, leash, cord or chain of sufficient strength to restrain the dog. There are many good reasons to keep your dog on a leash. It’s a great good neighbor policy, preventing your dog from trespassing on neighbor’s property during your walk. It also keeps your dog from jumping on people you encounter, ensuring that your dog has the chance of being properly introduced. A leash is commonly referred to as “Your Pet’s Lifeline,” protecting your pet from traffic and unrestrained animals. Accidents or animal bites are greatly reduced when responsible pet owners obey the leash law. It’s a great way to reward your dog. Your dog will immediately respond with a wagging tail the moment he or she sees you holding the leash. It’s a great identification tool, symbolizing that the dog has an owner, and enabling someone who sees the leash and identification tag attached to the dog’s collar to find you if you and your pet should become separated. It’s a great relief to wildlife, keeping your dog from chasing squirrels, deer and other wildlife. It’s the law! The law is in place to protect other members of the public and your pet from injury. 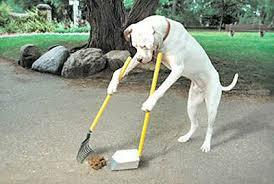 Be a Good Neighbor, pick up your dog’s deposits. Be a good neighbor. Be a good friend. Use a leash and pick up after your pet.